"Classy lefty back flanker / mid with an elite kick and massive engine"
Making the Adelaide Footy Womens 2018 Team of the year. Google maps, Ezy reg & of course Team app! Id probably ban myself as my pre game playlist is mostly electro. I'd be any of the under 18s because it would be great to have constant energy and not be sore all the time. My father, he taught me to kick a footy when i was younger. He has watched all my games and gives me feedback. He always tells me i need to be able to kick on both feet. 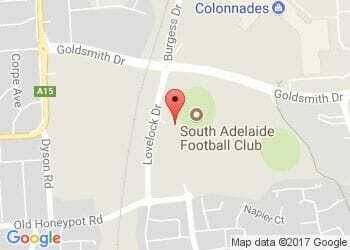 Everyone is best dressed because we all look great in our South Adelaide gear. Definitely Tamara Page, always a laugh at training and at the gym.